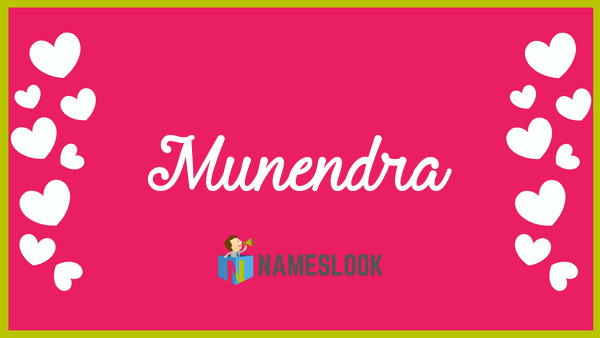 Munendra name numerology is 9 and here you can learn how to pronounce Munendra, Munendra name origin, numerology and similar names to Munendra. Click and hear the audio pronunciation multiple times and learn how to pronounce the name Munendra. If you feel the pronunciation should be better then record pronunciation in your own voice. If you already know the meaning of Munendra in English or in any other language, Please contribute that will helpful for other users, also you can edit any data like gender, pronunciation and origin to improve accuracy. Like above, 30+ Fancy text styles available for name "Munendra" in our Fancy Text Generator. Go and check out all the styles for more fun! NOTE: 10+ Audio Pronunciations Available for the Name Munendra in our Brand New Website PronounceLook.com. Learn how to pronounce Munendra correctly.